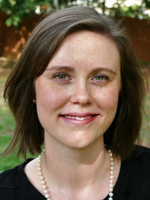 Lindsey took great wisdom and encouragement from the ICAN e-list in 2007 while preparing for her VBAC. She swore if there was ever an ICAN chapter in her area she’d pay it forward by attending and sharing the meetings. True to her word, she was the first one in the door when her home chapter ICAN of Nashville started up! She’s been serving as Co-Leader and Chapter Leader there for five years. She joined the Board of Directors in 2014. In addition to ICAN, she supports couples as a childbirth instructor. Most of her free time is spent chasing after her two boys and laughing with her husband. When the opportunity presents itself, she enjoys a good card game, a long book, and a hot cup of tea. Justen has been involved with ICAN since 2013, and has been a Chapter Co-Leader in Huntsville, Alabama for two years. She has had two cesareans, and one VBA2C. During her time as an ICAN leader, her main focus has been advocacy work, including obtaining the VBA2C clarification from ACOG, as well as attending and speaking at local hospital board meetings, writing letters to local physicians, publicly speaking out against unethical practices, and working to increase VBAC access for Women of Color. 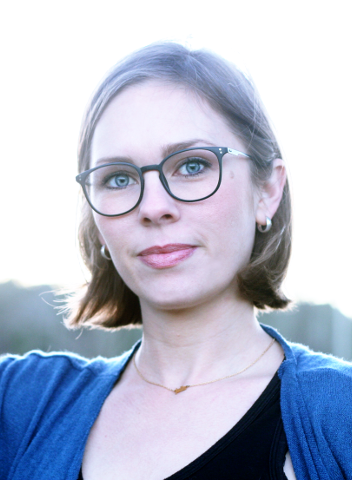 Justen also volunteers with The Good Earth, LLC., where she helps families navigate through the process of Home Funerals and Green burials, and assists in the burial process. She is passionate about communicating with birth professionals, and finding ways to work together in order to improve the maternity care system for all birthing women. Samantha found ICAN shortly after the birth of her first daughter by cesarean. The mission of ICAN spoke right to her heart and she knew immediately this was something she wanted to be a part of. The support she found through ICAN was invaluable to her while she planned for her VBAC. 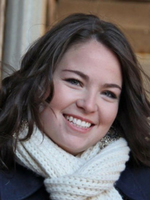 Samantha also fills the role of Assistant Chapter Director and is a co-leader for ICAN of Omaha. She has a strong passion for helping women achieve informed and empowered birth experiences through education and support. Samantha works with other local community businesses and organizations to promote woman-centered, evidence-based maternity and childbirth care. Outside of her childbirth advocacy work, Samantha enjoys traveling and photography. Mychel found ICAN in 2010 while looking for support for a VBAC with her third child. She received so much support on the forums from other moms who felt the same about their previous birth experiences; betrayed, disrespected, violated; it encouraged her to get more involved. She has held numerous jobs within ICAN and fills in as needed. She joined the Board in 2013. Mychel has three boys and an amazing husband who supported and “caught” their third baby via unassisted VBAC due to a lack of supported options. 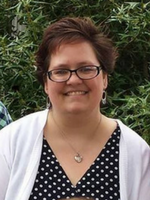 In addition to ICAN, Mychel homeschools her 3 boys, bakes and decorates cakes, collects Disney Snow Globes and plays in homeschool band with her sons. Brianna is a mother, wife, and volunteer at home Mom. She is the leader and founder of the Huntsville chapter of the International Cesarean Awareness Network commonly known as ICAN whose mission is to improve maternal-child health by reducing preventable cesareans through education, support cesarean recovery, and advocate for vaginal birth after cesarean (VBAC). An important message Brianna shares is reminding cesarean mothers that they are scarred not broken and facilitating a safe place/ support group for mothers to share their personal experiences. Brianna has contributed to the North Alabama birth community by being the forerunner and developer with her ICAN leadership team, of a pilot program, the “Doula Grant for Expectant Mothers”, this grant , awarded once a quarter, helps assist with a portion of the cost of a doula for mothers in need. She is passionate about supporting mothers and advocating for a system that provides integrated, evidence-based, respectful care options in all settings with particular concern for fully informed consent, and respect for patient’s rights surrounding both cesarean sections and Trial of Labor After Cesarean.